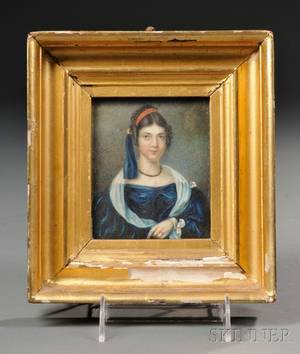 American School 19th Century Small Portrait of a Young Woman Holding a Red Book. 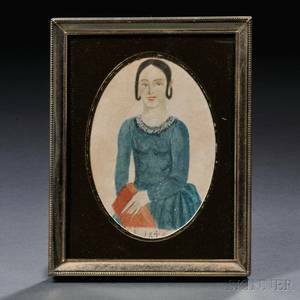 American School, 19th Century Small Portrait of a Young Woman Holding a Red Book. Signed and dated "H.P. 1849" below. Watercolor on paper, 4 x 2 3/8 in., in a later frame with oval mat. Condition: Repaired tears, stains outside of mat, losses to right edge. 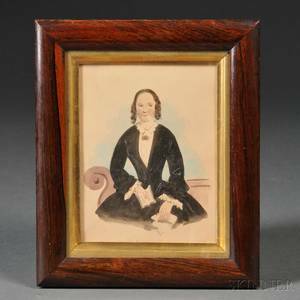 Archived auctions similar to American School 19th Century Small Portrait of a Young Woman Holding a Red Book. American School 19th Century Small Portrait of a Young Woman Seated on a Classical Sofa Holding a Book. 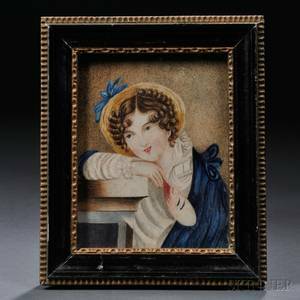 American School 19th Century Miniature Portrait of a Seated Woman Holding a Book. 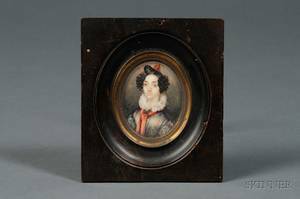 American School 19th Century Portrait Miniature of a Young Woman with a Red Sash. 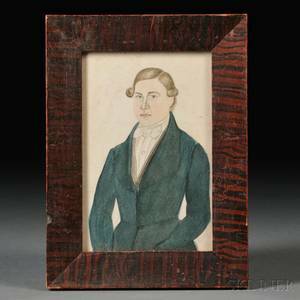 American School 19th Century Small Portrait of a Young Man Wearing a Blue Jacket. 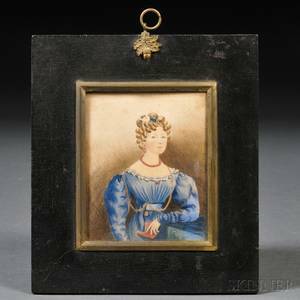 British School 19th Century Small Portrait of a Young Lady Wearing a Blue Gown and Holding a Red Book. 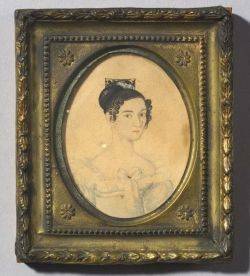 American School 19th Century Miniature Portrait of a Young Woman. 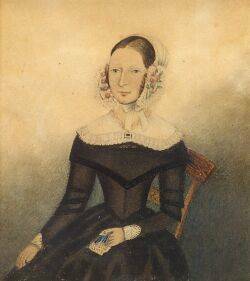 Jane A. Davis (American 1821-1855) Portrait of a Young Woman Holding a Red Book. 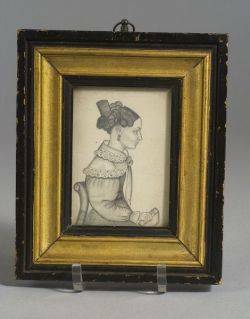 American/Continental School 19th Century Portrait Miniature of a Young Woman Holding a Mask.